Home > Blog > The Rain Never Came! It was forecast for heavy rain for lunchtime today, but it never did come – Hurrah! – dog walkers tend to watch the weather very closely!! Two great walks today – the first with Holly & Ivy, Herbie, Jude, Buddy, Boris and Murphy. 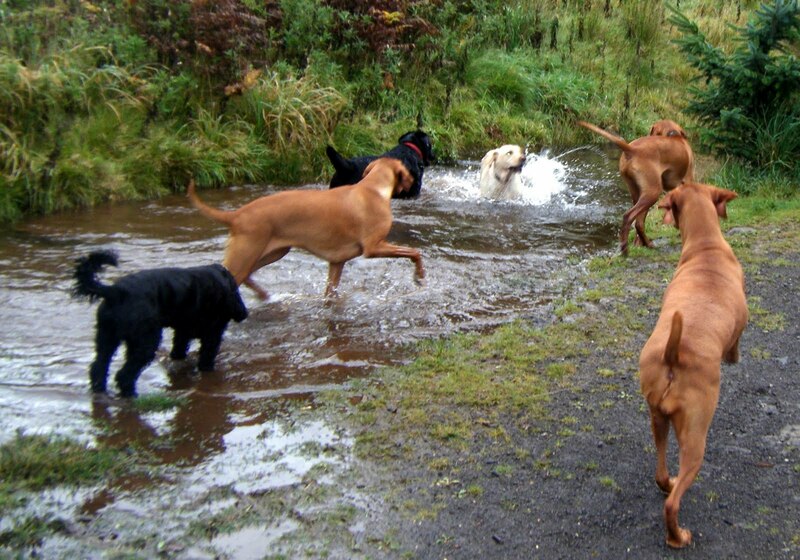 The second with Holly & Ivy, Laddie & Meg, Kellie, Skye and new boy Riley who is a Hungarian Vizsla!!! !